Rhythms from the North Country for solo piano is structured by a clear and icily-stark harmonic framework. Against this simple background, various performance possibilities are explored -- strumming of strings, tapping of the lid and a finger tremolo on the side of the piano. The piece is athletic, unusual, and playful as it uses the piano lid, sides, and strings as percussion instruments of their own. The "north country" referred to in the title is the state of Vermont, the composer's home for the past many years. Notes by Gwyneth Walker and Carson Cooman. Widely performed throughout the country, the music of American composer Gwyneth Walker is beloved by performers and audiences alike for its energy, beauty, reverence, drama, and humor. Dr. Gwyneth Walker (b. 1947) is a graduate of Brown University and the Hartt School of Music. She holds B.A., M.M. and D.M.A. degrees in Music Composition. 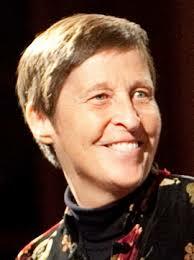 A former faculty member of the Oberlin College Conservatory, she resigned from academic employment in 1982 in order to pursue a career as a full-time composer. For nearly 30 years, she lived on a dairy farm in Braintree, Vermont. She now divides her time between her childhood hometown of New Canaan, Connecticut and the musical community of Randolph, Vermont.